Note: If you create a chart without using row or column headers, Excel uses default names, starting with “Series 1.” You can learn more about how to create a chart to ensure your rows and columns are formatted properly. Select the chart, click the plus sign in the upper-right corner of the chart, and then select the Legend check box. Optional. Click the black arrow to the right of Legend for options on where to place the legend in your chart. Select the cell in the workbook that contains the legend name you want to change. Tip: You can first click your chart to see what cells within your data are included in your legend. Type the new legend name in the selected cell, and press Enter. The legend name in the chart updates to the new legend name in your data. Certain charts, such as Clustered Columns, also use the cells to the left of each row as legend names. You can edit legend names the same way. 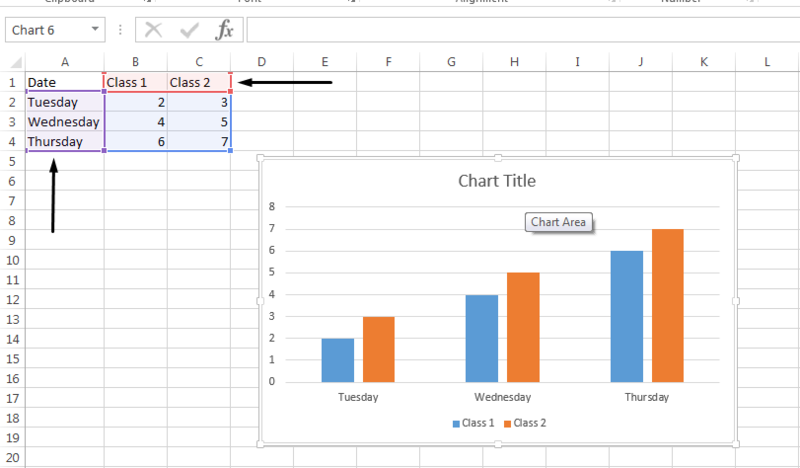 Select your chart in Excel, and click Design > Select Data. 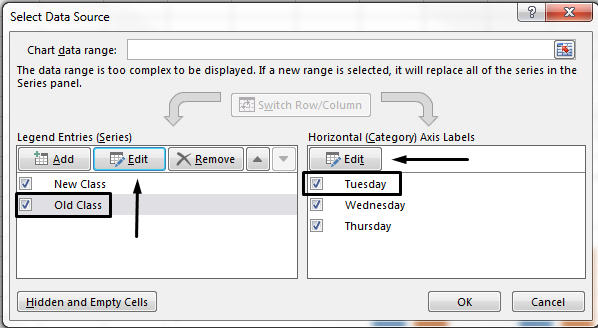 Click on the legend name you want to change in the Select Data Source dialog box, and click Edit. Note: You can update Legend Entries and Axis Label names from this view, and multiple Edit options might be available. Type a legend name into the Series name text box, and click OK. The legend name in the chart changes to the new legend name. Note: This modifies your only chart legend names, not your cell data. Alternatively, you can select a different cell in your data to use as the legend name. 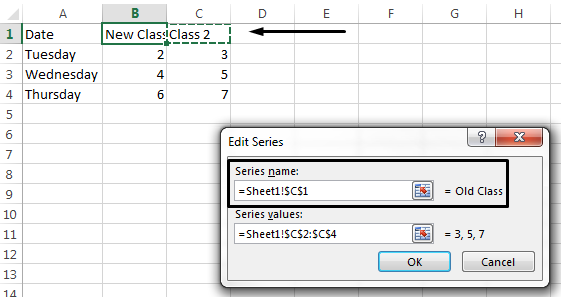 Click inside the Series name text box, and select the cell within your data.